Here are our top three selections for the best wood windows available in the industry. Scroll down to see consumer report ratings on top wood clad products as well. Wood clad frames are the most expensive category for replacement window costs and also require additional maintenance than vinyl and fiberglass windows. The Andersen 400 Series are vinyl clad wood windows which have been upgraded from their 200 series. They are better designed with more choices available including color and sizing options. This series is also available in two models, the Tilt-Wash and the Woodright. While the Tilt-Wash uses a better design when it comes to the sill than their 200 series, it does use the PPG Flexicron sash finish. The Woodright is the same as the Tilt-Wash when it comes to the frame and sill except they use a fibrex on the sash instead, which is preferred over the PPG option. The Woodright is limited when it comes to colors though, but it is still considered the best reviewed window from Andersen. The Loewen StormForce Window Collection is their hurricane or impact window line that integrates structural upgrades to the design to handle heavy storms. These wood clad windows also incorporate all of the beauty of their traditional line on the interior. Expect to spend on average $1400 per opening for a double hung with standard installation for their StormForce Collection. Read Loewen window reviews here. In general, the Consumer Reports top rated replacement windows were wood windows. They were significantly more expensive than vinyl, (although more comparably priced to fiberglass) but they performed better in testing. They kept out air and water better when new and maintained their performance better over the long run. 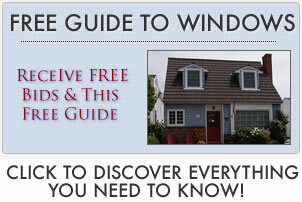 Find the top rated vinyl windows.